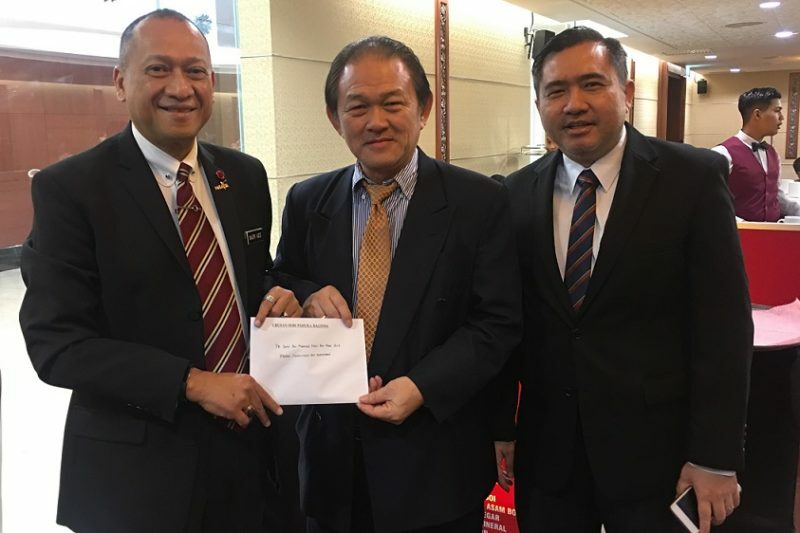 Stephen Wong, the DAP Member of Parliament for Sandakan, centre, met with Nazri Abdul Aziz, Federal Tourism and Cultural minister, at the Parliament with regards to the local tourist guides controversy. 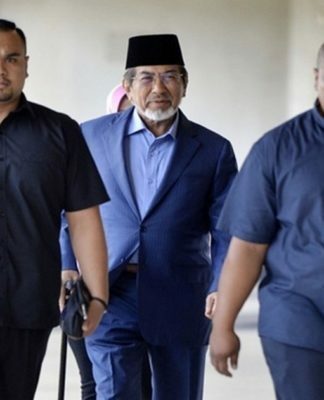 KOTA KINABALU: DAP Sabah wants the government to look at the overall situation that led local tourist guides creating a scene recently at the Kota Kinabalu International Airport instead of just picking on the protesters. 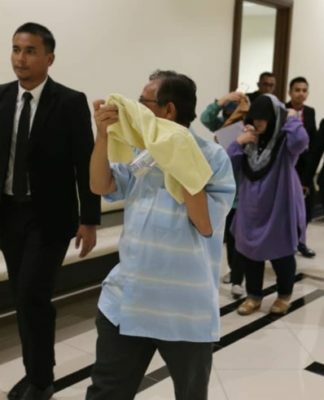 Stephen Wong the DAP Sabah chairman said the authorities concerned whould study the actual reasons as to what led them into the protest, saying that among their claims on the existence of illegal tourist guides surely merits deeper investigations instead of being brushed aside. Wong said a dialogue would be the best solution for now so that the grievances of the local guides can be looked into, instead of just coming down hard on them by threatening suspensions or withdrawing their permits. 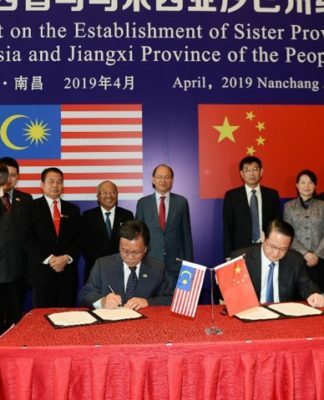 He met Nazri Aziz, the Tourism minister at Parliament and handed him a letter urging the government to be more understanding when dealing with the issue. “The fact is that the local tourist guides are unhappy about ‘sit-in’ personnel who are hired by tour operators with lower pay and their income is seriously affected. 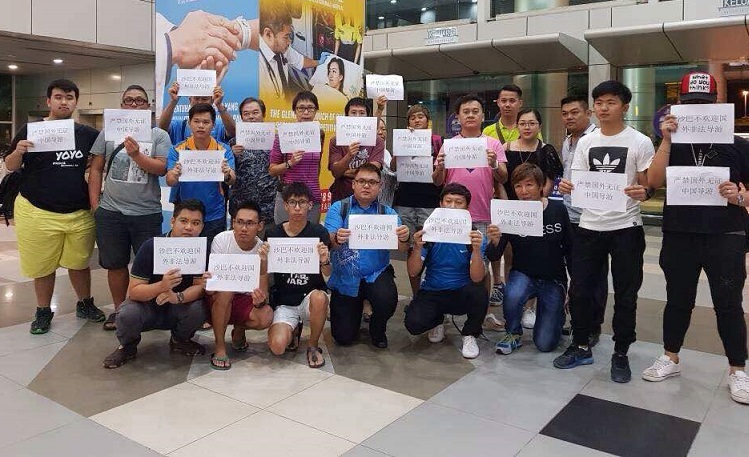 FLASHBACK: A group of local tourist guides who claimed they were protesting the presence of illegal guides from China who were operating from the Kota Kinabalu International Airport. These ‘sit-in’ personnel are allegedly not fluent in Mandarin and therefore tour guides from China would normally play the role to introduce local tourism spots in Mandarin. 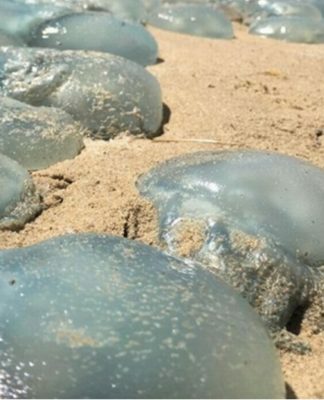 “Although it’s not illegal, but it is arguable as it ended up with local tourist guides are losing their jobs,” Wong said in a statement released in Kota Kinabalu. He hoped that government could look into the details, stressing that a win-win situation where local tourist guides should be prioritized when it comes to selection of qualified people to guide Chinese tourists. Nazri, according to Wong, said he is willing to meet up with the guides in person at Parliament this August 7. 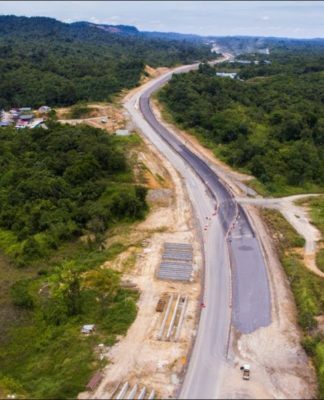 Wong hoped that the minister not to revoke their license and holistic approach should be taken to create a fair and reasonable profit-sharing guideline involving every player including tourist guides and tour operators in Tourism industry. 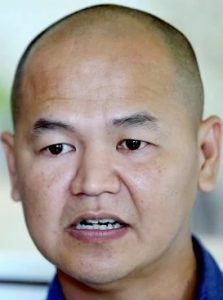 In the letter addressed to Nazri, Wong also criticized MOTAC Sabah director Awang Ahmad Zaki who had taken harsh action against these tourist guides and threatening them instead of listening to them in the first place. Wong charged that Zaki is unfit to be director. He also reminded Nazri that every citizen of Malaysia has constitutional rights to assemble. Furthermore the KKIA incident, he said, was a peaceful assembly.